Retail Loss Prevention is a set of practices undertaken by retail establishments in order to preserve profit. Threats to profit include theft, fraud, vandalism, waste, abuse, or misconduct. These preventable losses, also known as “shrinkage”, can be fixed by introducing Loss Prevention Officers to your Security System. Loss Prevention Officers, also knows as LPO’s, undergo specialized security training so that they are equipped to recover merchandise and apprehend shoplifters. They do this through performing a variety of surveillance techniques including on-foot observations and Video Monitoring. In order to maximize results, it’s important to choose a Security Company that provides you with options such as Suited, Uniformed, and Undercover Loss Prevention Officers in order to best suit your needs. The main reason why some clients prefer undercover LPO’s as opposed to Uniformed or Suited, is that it can be less intimidating for some environments than a visible security presence. Undercover LPO’s are otherwise knows as Secret Shoppers and they wear plain clothes as well as appear to have their own shopping agenda while covertly monitoring guests at the store. Shoppers do not notice that they are being watched by an undercover LP Officer whereas it’s very noticeable when a Uniformed or Suited Security Guard is present. Both options are very effective in theft reduction, however; it is best to enlist Security Services from a company that helps you understand the difference so you can make the best decision for your organization. High-end retail stores often prefer the polished appearance of Suited Loss Prevention Officers. This type of Security personnel is mainly stationed at the entrance of the store in order to ensure minimal intrusion to well-meaning shoppers, and ensure maximum effectiveness against those intending to steal. A Uniformed LP Officer is often the perfect choice for places such as Liquor Stores because well-meaning customers are familiar and comfortable to shop alongside a visible LPO, whereas shoplifters are hesitant to even enter the store. Loss Prevention Officers are mainly employed within the retail sector, however this service can be enlisted in any environment where merchandise is to be protected from theft such as trade shows, concerts, and seasonal displays. Hiring Loss Prevention Officers has become an industry standard because the cost of obtaining such services far outweighs the cost of replacing stolen merchandise. It is almost impossible for cashiers and stock persons to fulfill the demand of service as well as ensure that the merchandise is protected from theft. That is why Loss Prevention Officers are specialized in the detection, prevention and prosecution of theft. This way, the organization can function as a whole to not only serve the customer well, but to put an end to wrong-doers that would seek to harm your organization. The responsibilities of a Loss Prevention Officer are not only physically demanding but legally demanding as well. That is why it’s important to choose a Security Company that is fully licensed and has obtained the necessary threshold of insurance to match the needs of your retail space. The qualifications of Loss Prevention Officers are governed by Federal and Provincial regulations which are unique to each area. In order to maximize your protection, be sure that you are enlisting Security Services from a reliable company with a solid reputation for integrity. SecuriWORLD’s Loss Prevention Officers are fully licensed and insured in order to meet the necessary requirements of operating in large-scale department stores and retail franchises. we understand that asset retention is integral to the profitability of your business. That is why our Loss Prevention Officers are trained to excel at deterrence before occurrence. Put an immediate end to shoplifting and prevent future incidents from arising with our Loss Prevention security solutions. We offer no-obligation contracts so that you can try our services risk-free. Our ability to implement service on the same day you request it provides fast and convenient relief from shoplifting and theft. 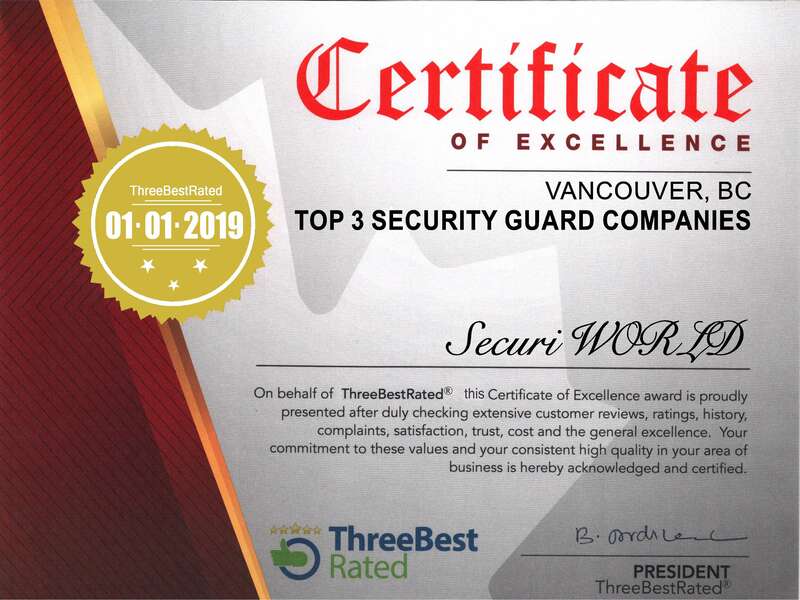 SecuriWORLD has dozens of Loss Prevention Officers ready to be deployed in every city across the Greater Vancouver Area and the Fraser Valley including Vancouver, Coquitlam, and Surrey. We operate in a wide variety of different organizations from large-scale department stores to small scale boutiques. We will match the presentation of our Loss Prevention Officers to suit the nature of your commercial space, including Suited, Uniformed and Undercover. Our licensed and insured LP Officers utilize the utmost professionalism to respond to emergency situations and prevent unforeseen scenarios. When you have confidence in your Security personnel, you gain the ability to focus on what really matters to you. Allow our Retail Security Division to give you the freedom you need to move forward from the threat of loss. Try us today and find out why so many clients rely on us year after year to protect their profitability. "Profitability is the soverign criterion of the enterprise."